An edited version of the following article appears in Amandla 57. Due to editing constraints, #UniteBehind did not have time to make corrections to the printed version of this story. The printed version had to be highly edited due to word count and space constraints. Below is the full version of the article. Shamese Abib, is a Cape Town resident who has been directly affected by the corruption and maladministration at the Passenger Rail Agency of South Africa (Prasa). On what was supposed be a day out at a the beach. Her 19-year old son tragically lost his life after being forced out of a moving train in order to evade thugs. Last month Ms Abib, along with the Railway Commuters Action Group and support of #UniteBehind members laid charges for wrongful death. On January 13, Keeno and his friends were travelling by train to go to St James beach. On their way home, at False Bay Station three guys and two girls boarded the train. “Because the doors didn’t close, Keeno and another friend were standing close to the door so that the children would be safe,” said Ms Abib. Ms Abib added that when you try and take other means of transportation it is also dangerous. “We would normally take a train but we had to take an Uber to Retreat Station, from there into a bus. Why are there trains if we can’t use it? And whoever is using it, you are sitting there and praying your whole journey anyway. I feel that Prasa is responsible and how many more lives will they let us lose? She added that every July that train prices tickets go up and she questions what they are using the money for. Ms Abib added another major challenge, besides the safety aspects, were the constant train delays and cancellations. Last year #UniteBehind released “ #Prasaleaks”. The document highlights how corruption and maladministration at Prasa has affected thousands of commuters on a daily basis. 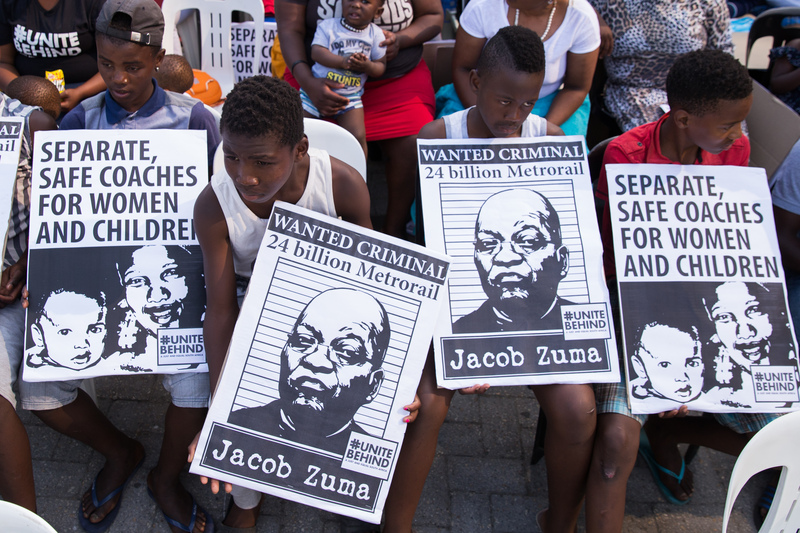 Corruption and state capture compromise the provision of social goods and basic public services, directly devastating the lives of people, especially the working-class and poor. Last year, close to 500 passengers died and over 2,000 were injured, according to the Railway Safety Regulator. 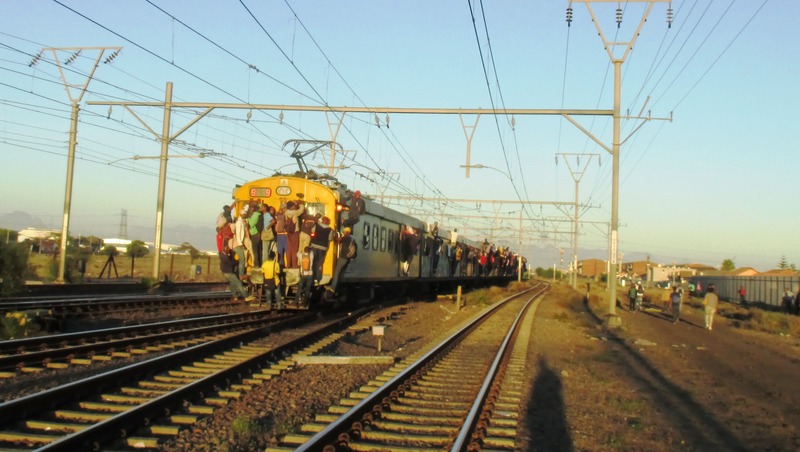 Beyond this terrible cost of lives, such accidents and crime cost railway operators almost a billion rand. Passengers routinely suffer physical and psychological harm. In February 2016, the National Treasury, in compliance with the Public Protector’s directions, commissioned forensic investigations into 216 contracts awarded by Prasa between 2012 and 2015. Of these, only 13 were found to have been above-board. During most of the period covered by the Treasury Investigations, Prasa was led by the then Board Chairperson, Sfiso Buthelezi and CEO Lucky Montana. A mostly new Board, under the leadership of Popo Molefe, was appointed in August 2014, when it became clear that Prasa’s main subsidiary, Metrorail, which transports more than 1 million people daily, was in crisis. The new Board worked with Treasury to implement the findings of the Public Protector. It also implemented other findings of the Public Protector while the Treasury Investigations into the 216 contracts over R10 million continued. Wherever they found corruption, they tried to act swiftly. The Treasury Investigations threatened to expose the capture of Prasa/Metrorail. Those implicated fought back by forcing out Popo Molefe, the then Chairperson, and those helping him to fix the problems at Prasa, and shutting down all forensic investigations including that of Treasury. The complete findings of the Treasury Investigations have not yet seen the light of day. #UniteBehind’s campaign, #FixOurTrains, focuses on the safety of commuters. We wrote again to to the Public Protector to put pressure and show the urgency in her findings which are highlighted in her report “Derailed”. Whistle-blowers came forward, including former Prasa employees who were dismissed for speaking against its activities. Appoint a credible new board with the requisite qualifications, experience, skills and competencies. Ensure that all Prasa appointments are merit based, with the appropriate qualifications, skills and experience. Ensuring that all security staff are qualified and compliant with Psira (the industry regulator. At the moment 80% are unregistered. Transferring all passenger rail services to the relevant local authority as per the Draft White Paper on National Rail Policy. Providing alternative forms of transport to commuters facing constant delays. Procuring locally manufactured new rolling stock.